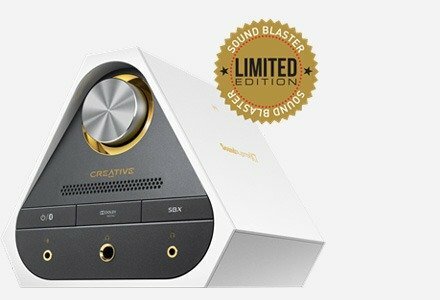 We have combined the legendary audio quality of Sound Blaster and our high-performance wireless speakers into one revolutionary product. 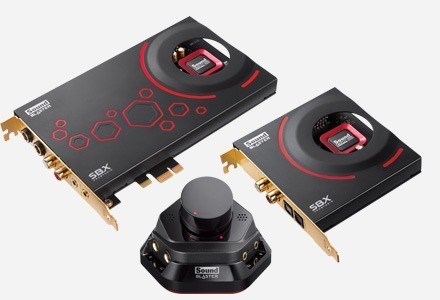 Sound BlasterAxx SBX 20 will not only transform the way you experience your music, movies and games, but also how you communicate in your voice calls! 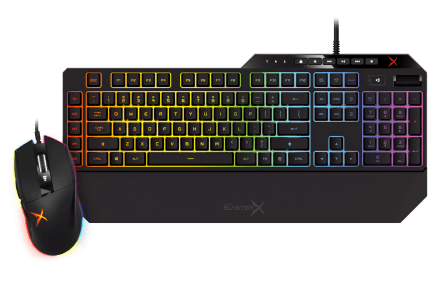 Together with its accompanying software suite, Sound BlasterAxx SBX 20 brings to you a whole new level of engagement and interactivity with your devices. Sound BlasterAxx SBX 20's built-in microphone, combined with our advanced CrystalVoice technology, lets you communicate in a whole new way. You're no longer bound to your computer seat nor have a phone stuck to your ear during voice calls. What's more, all communication is maintained in unbelievable clarity. Learn more about CrystalVoice technology here. With the Smart Volume Management feature enabled, your voice can be picked up even when you're speaking from the other end of the room - with no drop in volume or voice quality perceived by the listener. You're free to move around while still engaged in a conversation! There's also a Voice Focus feature, where you can customise the acoustic zone, so that only your voice is heard when you speak within this zone. You won't have to worry about your kids screaming or dog barking if they're out of the focus area! Enjoy crystal clear conversations even in noisy environments. CrystalVoice's noise reduction and echo cancellation features mean you'll always be heard clearly as unwanted background noise such as that from a nearby vacuum cleaner or hairdryer is being eliminated. We've included a comprehensive suite of software for both your computer and smart device that will enable you to get the most out of your Sound BlasterAxx. Experience superb audio realism and stunning 3D surround effects in your movie and gaming audio with SBX Pro Studio. Never miss anything again when you're watching your movies, or fall off your seat at an unexpected explosion. Adjust settings that let you hear barely audible movie dialog, or conversely, subdue sudden high-volume events so that you won't wake the whole family in the middle of the night! With the free Sound Blaster Central app for iOS and Android, you'll get extensive audio control right in the palm of your hand! Use it to manage all your Bluetooth® devices, adjust and control Sound BlasterAxx's audio settings and even watch videos that'll teach you how to get most out of your app and your Sound BlasterAxx. If you wish to control audio from your PC or Mac, and want more flexibility in your audio customization, download the free Sound BlasterAxx Control Panel software here. Note(s): The Creative Central app is now renamed as Sound Blaster Central for use with Sound Blaster products. Take on another persona and surprise someone in a voice call! CrystalVoice FX enables your voice to be altered on-the-fly with a variety of effects, creating interesting accents, or be made to sound like a completely different person. For PC users, we've included the "What U Hear" plugin for the Sound BlasterAxx Control Panel, which lets you record a mix of your Karaoke track and your voice as you sing along with the track! Great technology needs to be supported by equally awesome hardware. 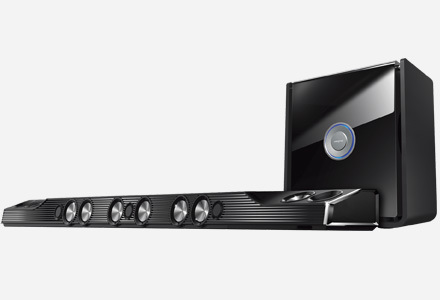 Not only is Sound BlasterAxx SBX 20 equipped with the most advanced hardware, it is specially designed for maximum usability and audio delivery. 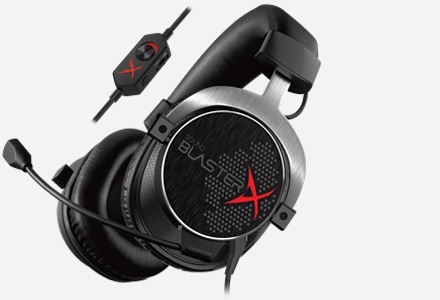 Sound BlasterAxx's high-quality dual-microphone array functions as its ears. 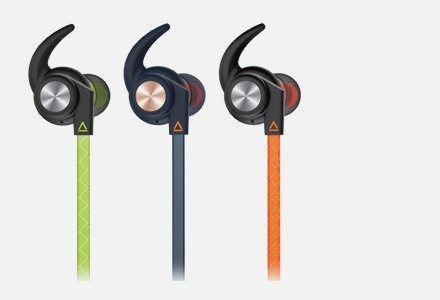 It accurately picks up your voice, and together with the applied technology, intelligently adjusts the audio. At the heart of Sound BlasterAxx lies the SB-Axx1 chip - Creative's most advanced multi-core voice and audio effects processor. 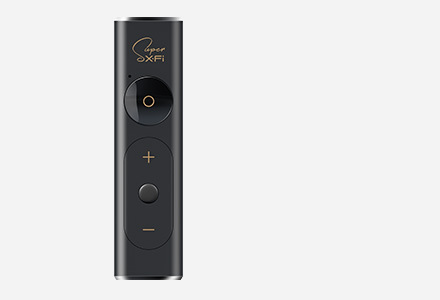 This boost in audio processing power translates to a dramatically superior listening experience for your music, movies and calls that is simply second to none. Be amazed by the impressive sound and thumping bass generated by a device that is powered only by a mere USB connection! This is made possible by the highly energy-efficient circuitry that's being incorporated within the intelligent amplifier design. Sound BlasterAxx's "Stacked Stereo Acoustic Design" combines two speaker drivers vertically into one chassis, making it not only space-saving and aesthetically pleasing, but delivers a great stereo experience as well. Easily access the main functions using the intuitive, touch-sensitive control panel, which is conveniently located at the top. Wirelessly stream music, movie or game audio from any compatible stereo Bluetooth device such as your smart devices, PC or Mac. With iOS devices, you can also stream with Advanced Audio Coding (AAC) for seamless high-quality, low-latency wireless audio. Because of the advanced audio pick-up capabilities of the Sound BlasterAxx, you can utilise it to speak to iPhone's Siri® or Voice Actions for Android to make a call, play your music or many other voice-activated functions with greater accuracy. It will also work with other readily available voice-activated apps like Voice Assist or Vlingo®. The Sound BlasterAxx SBX 20 is the flagship model of the series and is also the largest, standing at 40cm tall. On first impressions, the SBX 20 sounded much more full bodied and powerful than we would expected from a speaker of its size. Ever wanted to be that guy putting golf balls while on the line with an associate? Now’s your chance. Of course, hands free isn’t the only thing the Axx is good for. This speaker is nothing short of amazing. It has the sound quality of larger Bose systems , the aesthetics of an artwork displayed in the Louvre and the ease of use of a pencil. Awesome product. Easy to use, fantastic sound and reasonable price. A must to have. Please note that a USB Power Adapter is not included in the package.